Creativity didn’t used to exist. The Ancient Greeks believed that ideas came from daemons, external god-like forces which influenced everyone’s life for good or bad. Even the foremost thinkers of their time Homer, Plato and Socrates ascribe the source of their ideas to daemons – they weren’t creative in and of themselves. In fact, the Ancient Greeks had no word for creativity. Our modern day interpretation didn’t come about until the Renaissance and the focus on ‘man’ as the center of knowledge, enlightenment and inspiration. The modern concept of creativity invokes paintings, music, scientific theories, literature, inventions, and ideas. Creative output can be either an object or intangible but it must be new and have some value. Imitations of great works of art have value since they are beautiful but they aren’t novel, so not creative. If I manically mash my fingers into the keyboard, I’m creating something new, but it’s valueless gibberish and so equally not creative. True creativity needs to be novel and valuable. 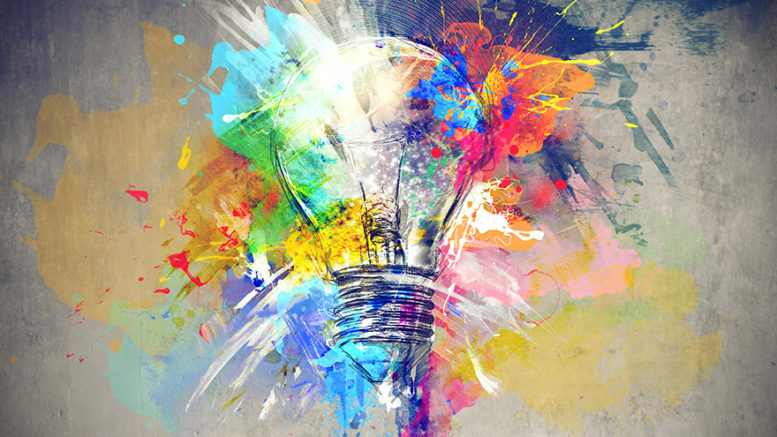 Writing in Psychology Today, Sandeep Gautam argues there are four elements to creativity – utility, novelty, beauty, and a last one he calls ‘veridciality’. This captures a sense that whatever has been created must be true or replicable. Namely, something like a theory can be new, useful, and elegant but if it isn’t actually true it doesn’t lead to any genuine understanding, and so isn’t truly creative. I’d argue that beauty is part of utility, as is this sense of truth – a false scientific theory doesn’t have much utility even if it would be useful. So for the sake of simplicity, let’s say that creativity needs two main criteria – novelty and utility. OK – we have our hands around the concept of creativity, but how do we measure it? Thankfully, the area of creativity is subject to much study by scientists, who need to quantify it to see the correlation with other human characteristics like intellect, education, emotion, and attitude. Creative potential is measured by divergent thinking (DT) – the ability to develop multiple solutions to a problem. Divergent thinking is a free-form, associative type of creativity – for instance thinking about how many uses you might have for a house brick: doorstop, weapon, karate target, stepping stool, plant pot, dinghy anchor etc. The more ideas, the better, provided they are valid. You’ve probably played word-association games where each person has to say a word related to the one spoken by the previous player. Any delay or repetition means you’re out. Our level of creativity is understood to be linked to our ability to connect these disparate concepts. Psychologists believe these concepts are stored in ‘semantic networks’ in the brain. People with ‘flat’ semantic networks form numerous loose connections and so are typically more creative than those with ‘steep’ networks who find such games challenging. It’s believed that divergent thinking can be increased by meditation, keeping a journal, art and certain associative brainstorming techniques. There are tests for creative potential or divergent thinking which look at a number of these areas. Here’s one if you want to try it. I got 76 if it makes you feel better. The second measurable area of creativity is creative achievement. This is usually assessed through self-reported examples of creative achievement – books written, music composed, scientific papers published. The Creative Achievement Questionnaire looks at ten areas – visual arts, music, dance, architectural design, creative writing, humor, inventions, scientific discovery, theater and film, culinary arts. For most of us, the bar might be a little high if we’re looking at the number of patents, ISBN numbers, music scores or film scripts to our name. But the principle is the same for day-to-day creativity. How many of our ideas actually get implemented rather than left on the whiteboard? The combination of these tests then directly link to our definition of creativity. Creative potential looks at our ability to create numerous novel ideas, and creative achievement looks at the value of those ideas (since we’re hardly likely to realize useless ones). If you want to be seen as creative, you need to embrace divergent thinking, develop numerous new ideas and make them happen. And what could be more fun than that?